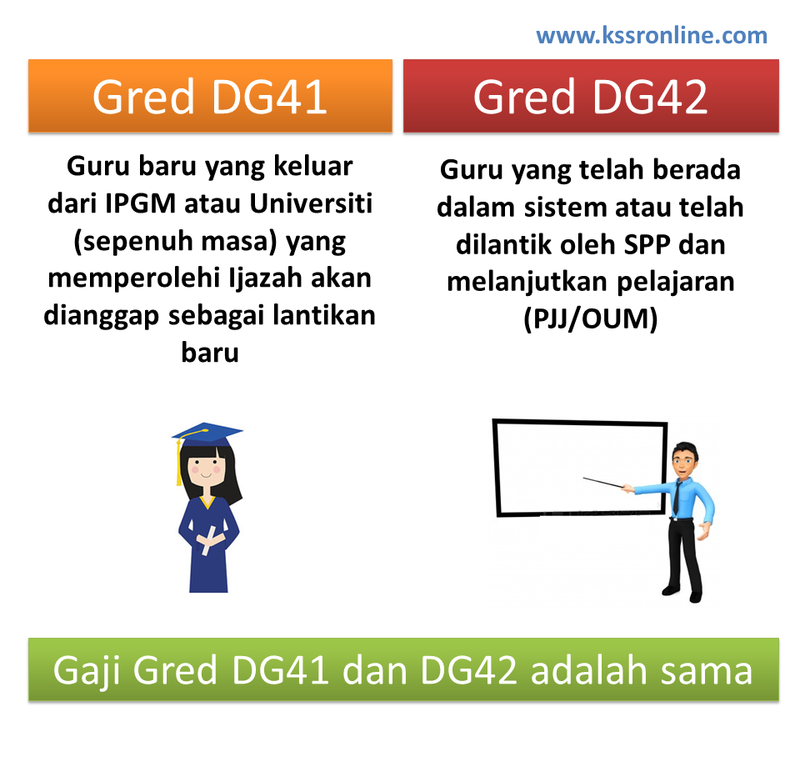 Basically, grade DG41 is for new teachers who just come out form IPGM or universities while for grade DG42, it is for teachers who are already teaching in school and had further their study in PJJ/ OUM. DG29, DG32, DG34 and DG38 teachers would advanced to DG42 after fulfilling the terms. Salary wise, both has the same. For those teachers who had completed their further PJJ/OUM but are yet to receive the lantikan from SPP, please wait for the notice from SPP in the month of April.